Western sanctions against Crimea will not impede the economic development of the region, Andrey Melnikov, the Minister of Economic Development of the Russian Republic of Crimea, told Sputnik. "The sanctions regime is not a big deal. 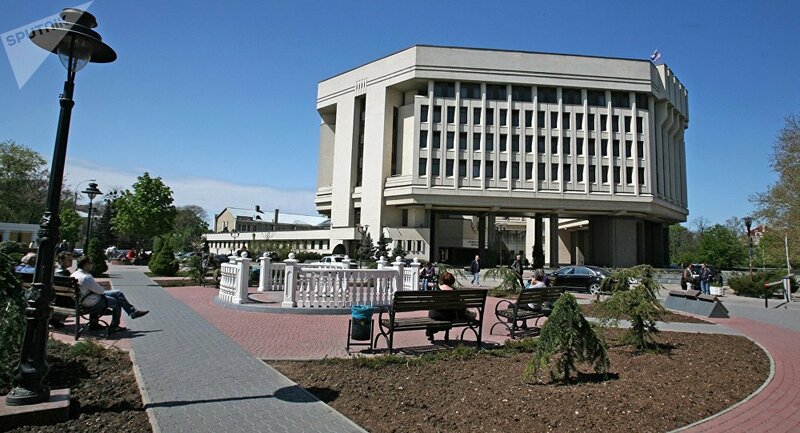 It does not have a significant impact on the development of the republic," Melnikov said, adding that Crimea is independently capable of recouping any losses suffered due to the sanctions. Moreover, according to Melnikov, Ukraine would benefit from resuming economic ties with Crimea, due to the historical connection between the country and the peninsula. The two were formally united under Soviet rule in 1954 and briefly remained together during the post-communist period despite ethnic and language differences. "If Ukraine opens the border for Crimean and Russian goods, it will be mutually beneficial," the Minister added. On June 19, the European Council announced that the EU member states' foreign ministers had extended sanctions against Crimea for one year. They were due to expire in late June of this year. The unilateral measures ban EU citizens as well as EU-based companies from importing goods from the peninsula, as well as from investing in it. The sanctions target tourism services, transport, telecommunications and other sectors.